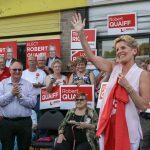 Belleville – More than a hundred Liberal supporters gathered outside of the local candidate Robert Quaiff’s Belleville campaign office Thursday, waiting to get their chance to get to see and hear from the party’s leader, Kathleen Wynne. 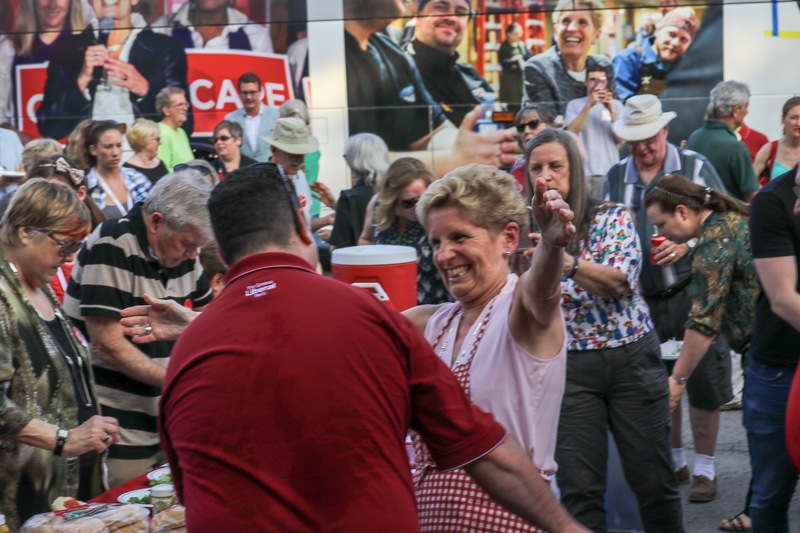 Wynne took the time to shake hands, pose for pictures and serve some hamburgers to those in attendance, before finally taking to the stage for a short speech about her platform and some current issues. 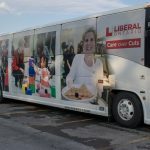 “We are going to make sure that everybody in this province who is ready to go to college or university, gets to go. 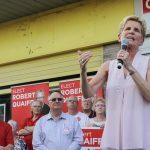 It’s not about family income – if you’ve got the grades you get to go,” said Wynne. 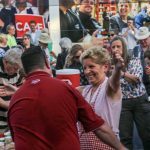 “We’ve got an economy that’s growing faster than other parts of the country, faster than the United States, and we have an unemployment rate that the lowest it’s been in nearly 20 years,” added Wynne. 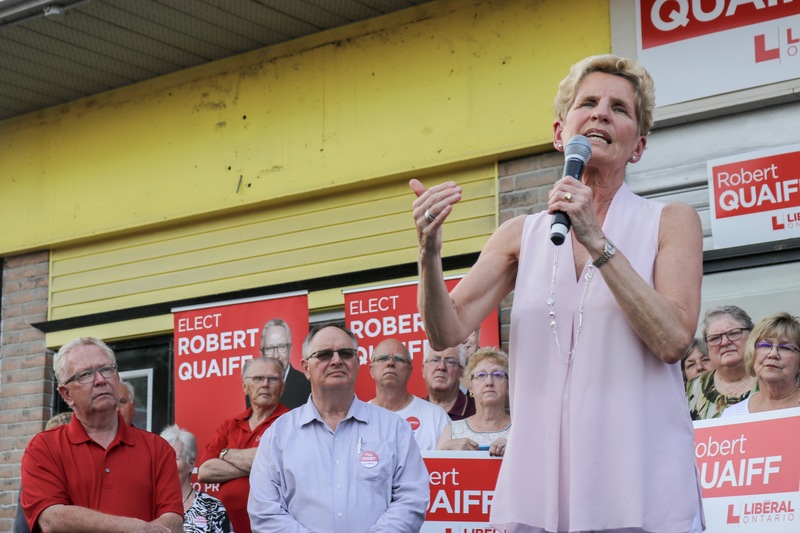 With Donald Trump and the United States making national news with the imposed tariffs on steel and aluminum, Kathleen Wynne took the chance to talk about how it affects Ontario. 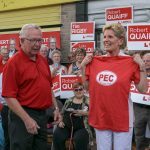 Bay of Quinte Liberal candidate Robert Quaiff said he had been working hard to secure a visit from the Liberal leader. He talked about the importance of having the Liberal leader come to his riding to speak. 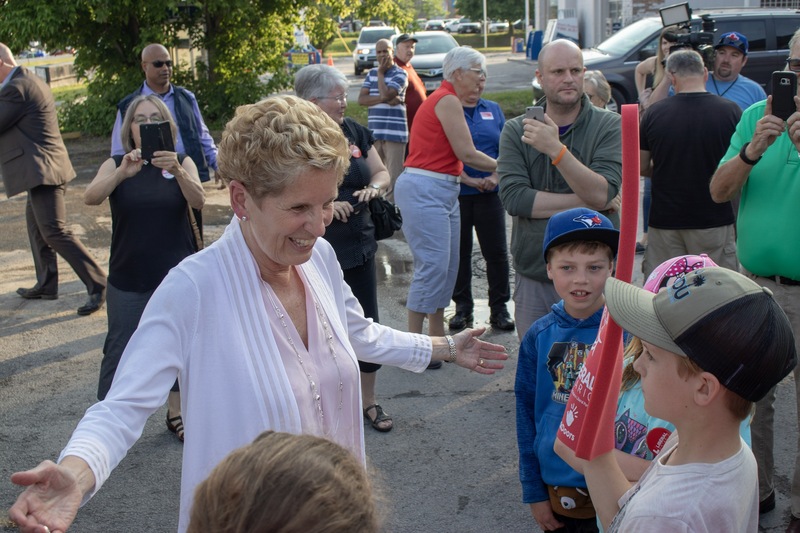 “She has the busiest schedule of any of the leaders, so for her to take time out of her schedule to come here and say hello, and to greet my supporters. It’s just an honour,” said Quaiff. 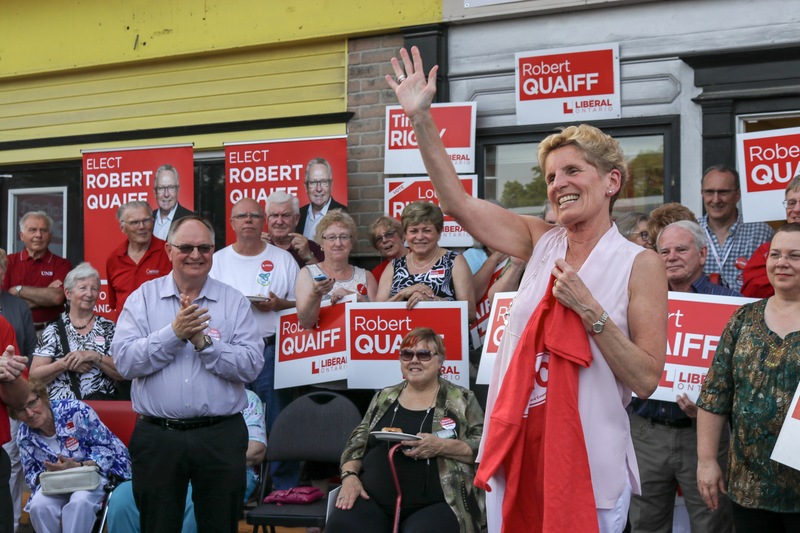 Quaiff echoed Wynne’s statements about education and healthcare and praised her work with the economy, wanting Ontario to give them a chance to build on it. “We have a real strong economy. 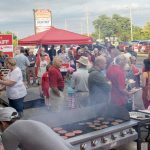 Everything is going fast-forward, but there still more that needs to be done,” said Quaiff. 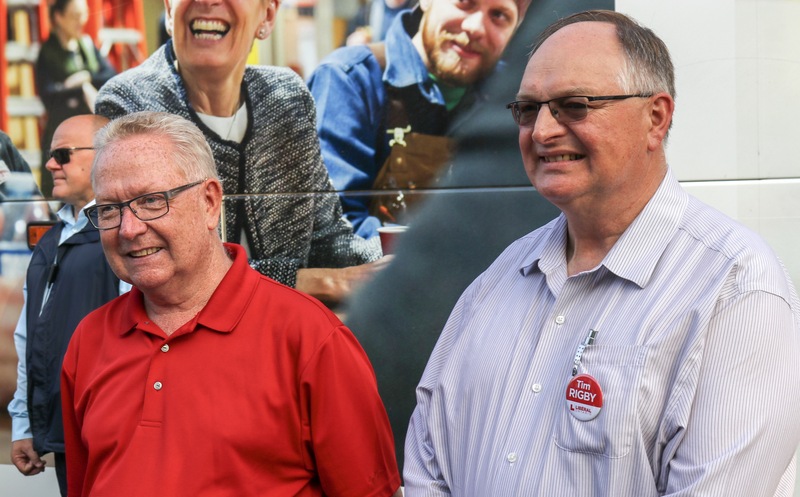 Hastings-Lennox and Addington Liberal candidate Tim Rigby was also in attendance to support his party’s leader. 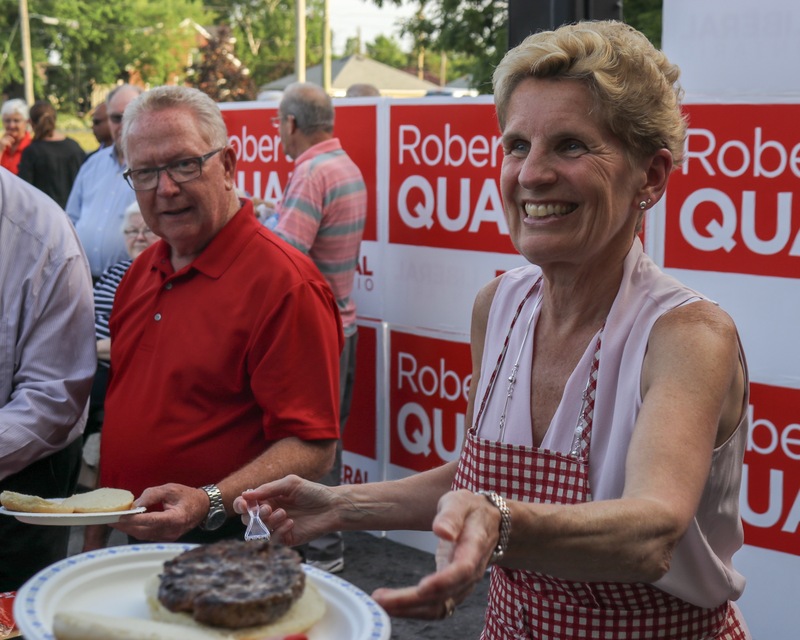 “She’s head and shoulders above the other party leaders,” said Rigby. 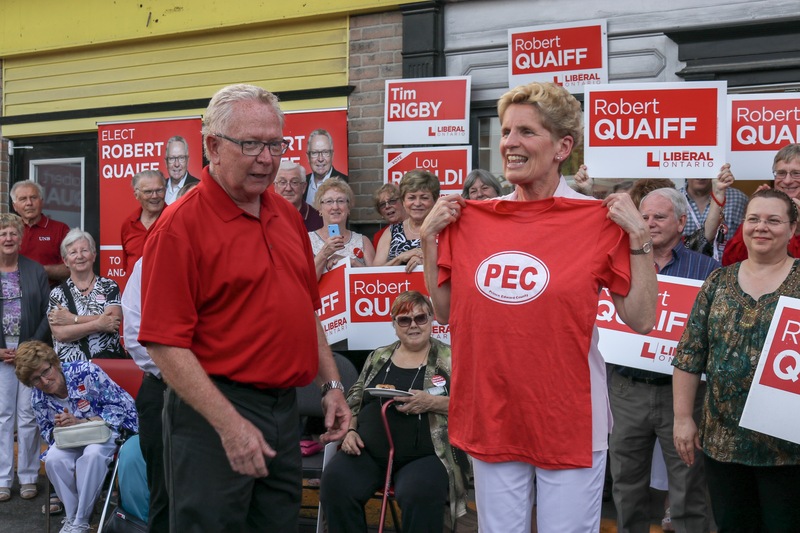 Rigby also warned Ontario about the message they’d be sending to politicians not re-electing Wynne. “I think it would be a real tragedy and travesty if she didn’t get re-elected. 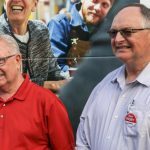 I think it sends a message that somehow when you have a progressive platform, you better not do that because you can’t get re-elected,” Rigby said. Kathleen Wynne was not made available for any media questions. 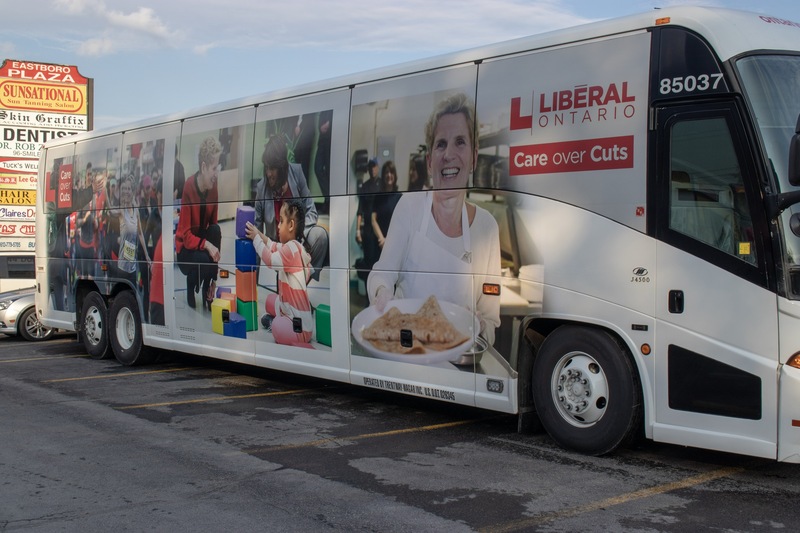 The Ontario provincial election takes place June 7.